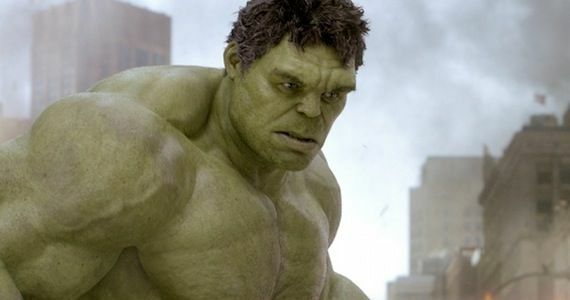 Will Mark Ruffalo And Marvel Take Us To ‘Planet Hulk’? Mark Ruffalo has been doing a ton of interviews to promote his role in the new film Begin Again. Press are typically asked to only talk about the project being promoted, but as Ruffalo is part of one of the biggest franchises in cinema history (Marvel’s cinematic universe) nearly every conversation has found at least a small amount of time to ask about the thing that has been on the minds of comic movie fans since The Avengers: When will The Hulk return, and will there be another stand-alone Hulk film? While this may sound cool to some, there is one major problem: Bruce Banner is not part of the story. So if Planet Hulk is a bust, then what exactly can fans expect from Bruce Banner in the years to come? Good question. No one knows for sure, but the comic series for Age Of Ultron does end with The Hulk being trapped on a jet headed for space. Director Joss Whedon has not revealed if the same thing will happen when the Avengers return next year, but it would be very odd for Marvel to abandon a core chunk of what is largely considered to be one of the best comics of all time. Here’s where I’d wager his spaceship is headed: wherever the Guardians of the Galaxy are located. If I was a betting man, I’d say there will be no Hulk solo film as part of Phase Three. Instead, Banner’s ship will take him to another planet, where he will end up meeting the Guardians and having an adventure with them. Hulk will definitely come out to play a few times. I suspect we’ll see some sequences that very much feel like they’re part of the Planet Hulk story, but that the larger story will be about the Guardians finding a way to get Banner home, only to end up going with him. That would move a big piece of the puzzle into place to get Thanos looking back at the Earth in time for the third “Avengers” film. This idea works for me, and I am sure a number of you would agree. I mean, who doesn’t want to see Chris Pratt, Rocket Raccoon, and Groot pal around with Mark Ruffalo? The moments when Rocket annoys Banner to the point of transforming would be magic. That said, I hate to think that Marvel will carry out Thanos as a mostly elusive figure until Avengers 3. So, what should we expect? I think it almost goes without saying that a stand-alone Hulk film is a distant dream that would only come together if Marvel felt they had a story few could hate. There is still a chance elements from Planet Hulk will work their way into the central story, but I don’t think we will be seeing She-Hulk or Hulk’s baby anytime soon. A crossover seems far more likely. Ruffalo is still in the midst of his press push for Begin Again, so we may learn something more about the Hulk’s future in the days or weeks to come. Follow UTG on Twitter for updates.